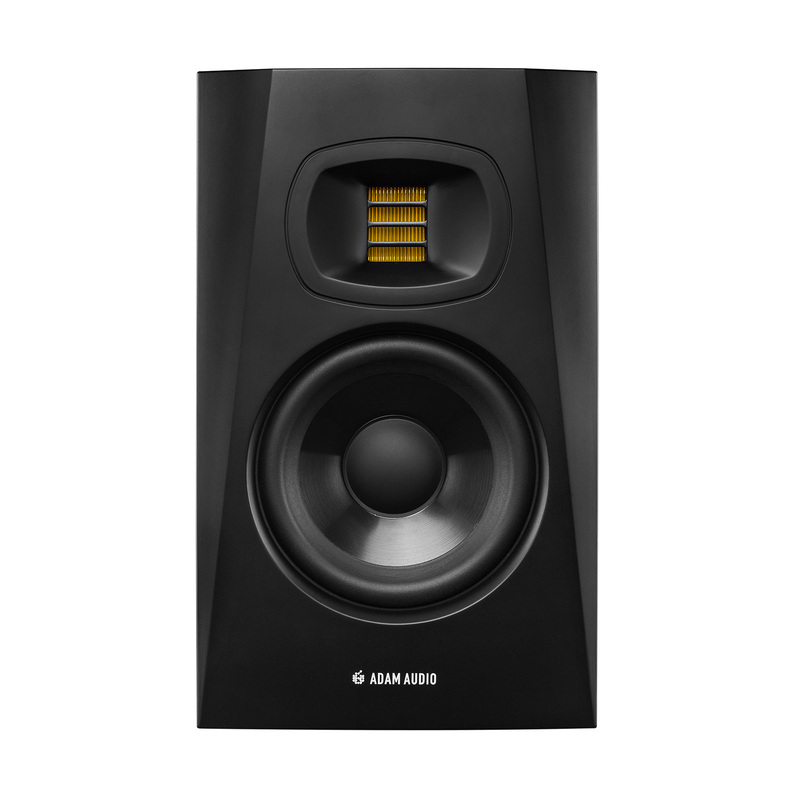 ADAM Audio is well known for their high-end studio monitors which are out of the reach of most beginner producers. The good news is that they started making a lower tier version of their products to make them more accessible. The T5V offers a similar quality to the higher end ADAM models at a fraction of the cost. The most unique feature of these monitors is the U-ART (accelerated ribbon tweeter) at the top. These offer a crisp high-frequency response that is nearly impossible to find in the beginner price range. The frequency response on these monitors ranges from 45 Hz to 25 KHz, so they offer a full range of sound that will be perfect for producers of all genres. On the back, you’ll find some switches that will let you adjust the high and low by 1 or 2 dB. These can be helpful if you’re experiencing some sound issues in your room. Also on the back, you’ll find the XLR and RCA connection. One of the big strengths of these speakers is the price. Most mid-range studio monitors are up around $300 each, but you’ll find these down towards the $250 each range depending on the supplier. The tweeter response on the T5V is unbelievable for the price range. The ribbon tweeter is the shining star of these monitors. Even when you drive the volume up to clipping (not that I would recommend that), the highs hardly distort and remain clear. The only weakness is that the volume knob on the back doesn’t have a notch which prevents accidently turning it. The power switch is on the back as well, so you might bump the knob and adjust the volume a bit when you try to turn the power on/off. You will absolutely not be disappointed by these monitors. 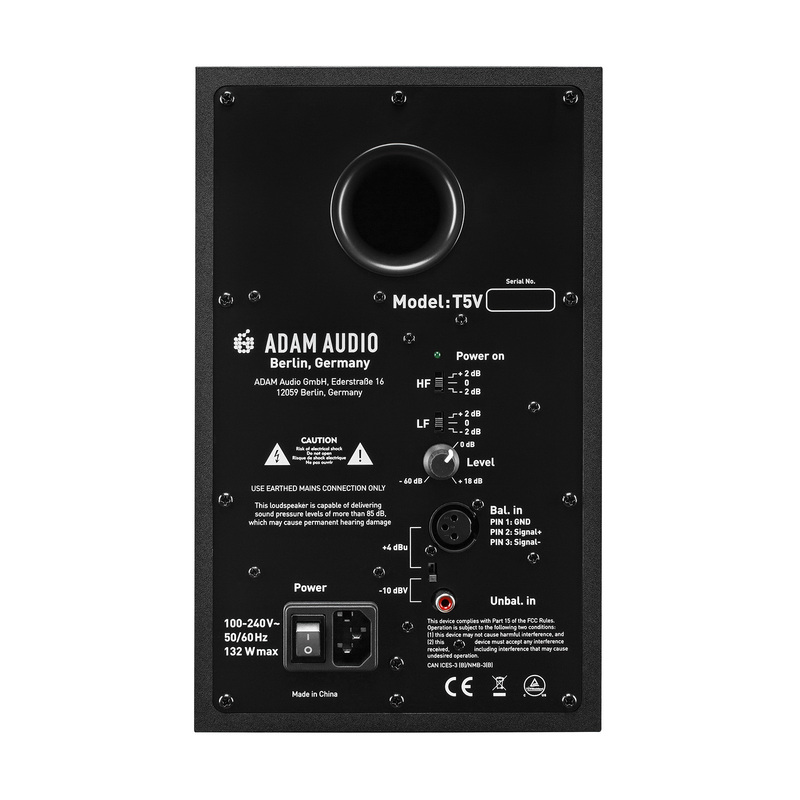 ADAM borrowed the features and expertise from their high-end monitors and are giving the common consumer the ability to experience a great quality monitor. If you can afford to upgrade to the ADAM T7V, I would recommend at least checking them out to hear the difference.